The judges enthused over this innovative yet simple idea. 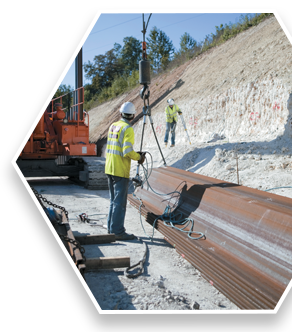 Following value engineering, this design modification resulted in large cost savings and greatly increased productivity for this fast-track project. 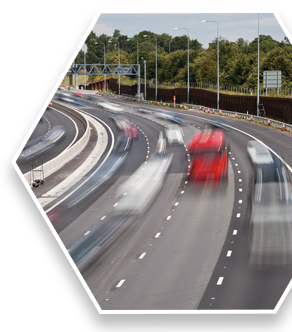 In addition, the reduction in materials used of 30 to 40% has resulted in economic, sustainable and environmental benefits. 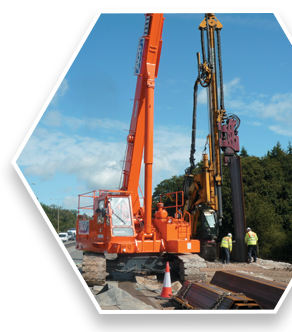 This novel construction technique significantly reduced the construction time and minimised disruption on a long section of the M25. 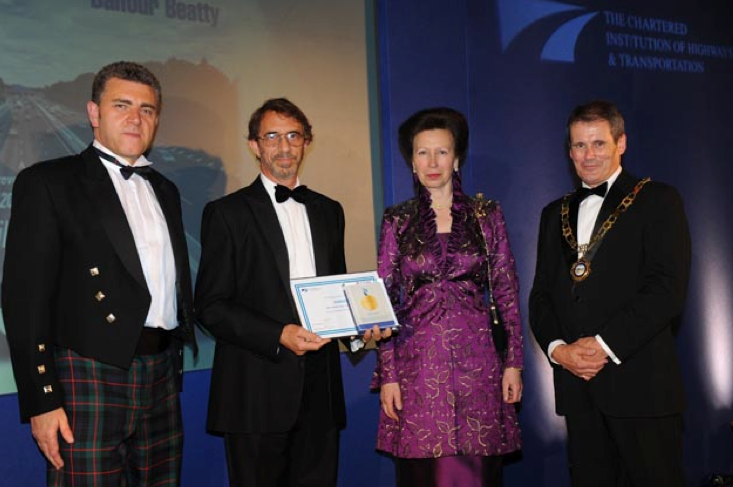 Judges were also impressed by the communication and consultation between all parties involved which resulted in the use of an untried system on such a major project. 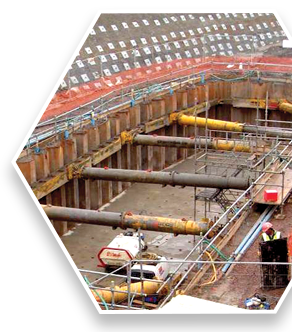 To find out how you can use a KSP wall on your project, see Guidance to Users. 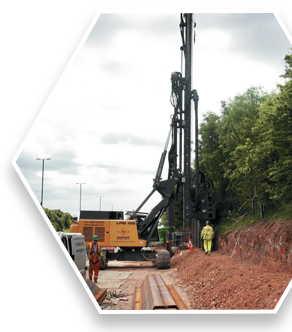 Contact enquiries@ksp-piling.co.uk for more information. 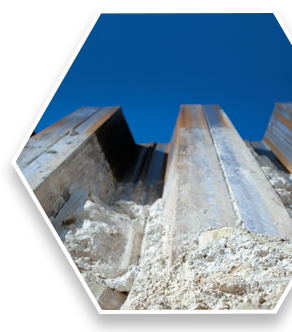 19 December 2018: The European Patent Office today issued Patent No 2326773 covering the intellectual property behind King Sheet Piling (KSP). 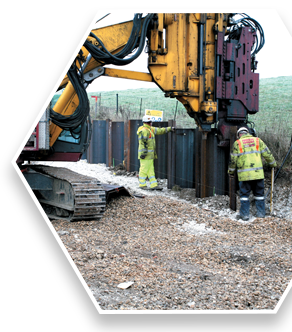 18 April 2018: February saw the start of KSP installation on the A14 Ellington to Fen Ditton highway project. 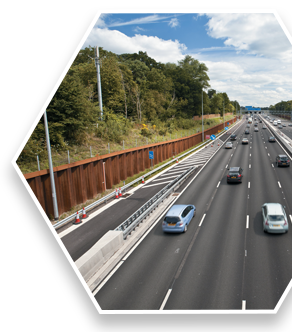 Planned other UK Smart Motorway work this year using KSP walls includes the M1 Jnct 23A-25, M6 Jnct 2-4, M4, Jnct 3-12, M1, J13-16 and M23 Jnct 8-10. 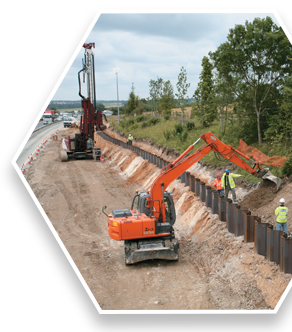 Last summer saw completion of KSP walls on M1 Jnct 19-16, M25 Jnct 30 Improvement and M5 Jnct 4A-6. 31st January 2018: The Canadian IPO granted patent 2 732 905 covering the intellectual property rights behind KSP. 21 December 2017: The Australian IPO issued Patent AU-B-2016203186 covering the intellectual property rights behind KSP.